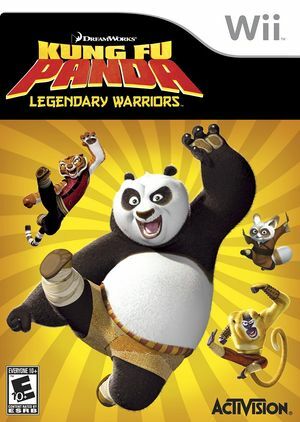 In Kung Fu Panda: Legendary Warriors, players embark on an epic, action-packed adventure as they master the specialized Kung Fu fighting styles of Po the Panda, the unlikely hero, his teacher Shifu, and the legendary Kung Fu masters, the Furious Five: Monkey, Tigress, Viper, Mantis and Crane. Through 13 legendary levels from the movie and beyond, and spanning land, water and air, players must work their way to become the Dragon Warrior and defeat the ultimate enemy, Tai Lung, as they battle a variety of foes, overcome dangerous obstacles, navigate multi-tiered environments and solve challenging puzzles. Featuring a deep variety of gameplay, unique co-op and competitive multiplayer modes, collectibles, and a host of character upgrades. It is a sequel to the video game Kung Fu Panda. The graph below charts the compatibility with Kung Fu Panda: Legendary Warriors since Dolphin's 2.0 release, listing revisions only where a compatibility change occurred. This page was last edited on 12 January 2018, at 14:26.